Tesla has just introduced a new entry level car, but before you fire up your laptop to order one, you should know it's even more expensive than Tesla's current starter vehicle. The car it announced on Wednesday is called the Tesla Model S 70D and it'll start at $75,000, although buyers are eligible for a federal tax credit that brings the price down to $67,500. The Model S starts at $70,000. The "D" stands for dual motor, which will come standard. The car has all-wheel-drive, 514 horsepower and a 0-60 acceleration time of 5.2 seconds. It will also have a 70 KW-Hour battery and a 240 mile driving range. And here's another wrinkle, as of today the $70,000 version of the Model S will no longer be available new. Tesla (TSLA) is taking it out of its lineup. Tesla is still working on a cheaper entry-level vehicle, the hotly awaited Model 3 which is expected to start at $34,000. This isn't it. The Model 3 won't be available for a couple more years. 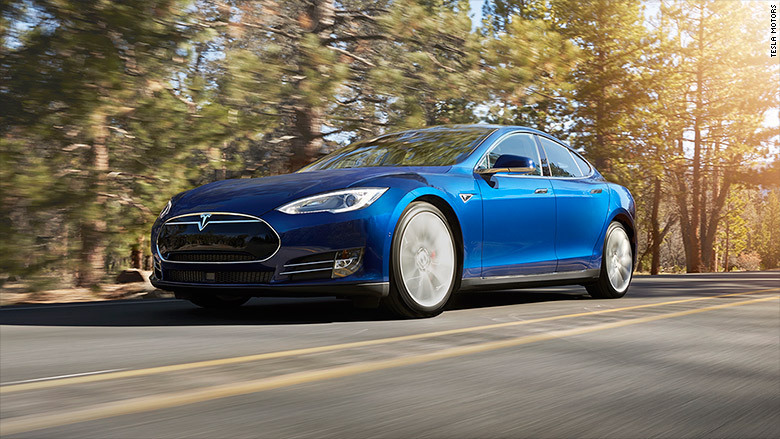 Tesla's new Model S 70D will start at $75,000 but cost a lot less after a federal tax break.